A number of clinical collaborators testing a cell-free DNA sequencing test for infectious disease reported interim study results and anecdotal evidence of the assay. Karius (Redwood City, CA, USA) has been developing technology to isolate cell-free pathogen DNA from blood. It is aiming its technology in particular at finding the cause of sepsis and for diagnosing infection in immunocompromised patients. 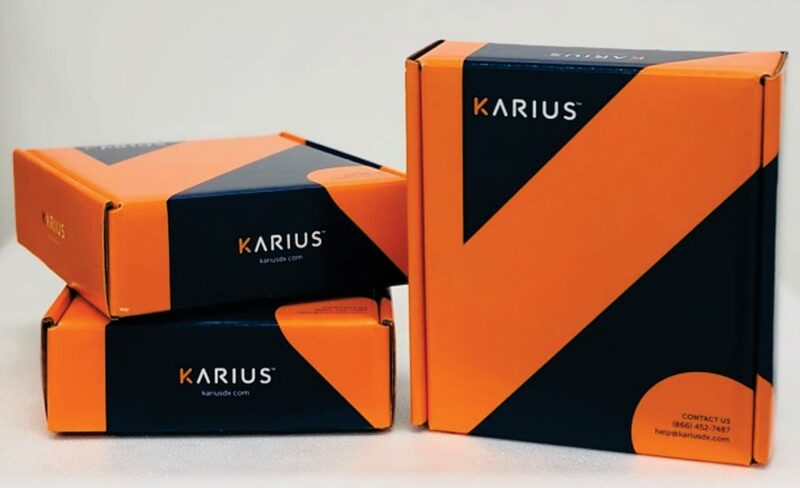 Image: The Karius test is a comprehensive next-generation sequencing (NGS) assay performed by the CLIA-certified and CAP-accredited Karius laboratory to identify and quantify microbial cell-free DNA in plasma from more than 1,000 bacteria, DNA viruses, fungi, molds, and protozoa (Photo courtesy of Karius). Investigator at St. Jude Children's Research Hospital (Memphis, TN, USA) enrolled patients who had refractory or relapsed acute Lymphatic Leukemia (ALL) or Acute myeloid leukemia (AML). For patients who developed bloodstream infections, standard culture-based diagnostics were carried out, but the Karius test was also run on any samples that were available up to seven days before a diagnosis was made up through seven days after the diagnosis. The goal was to determine whether the Karius test could identify the pathogen before a diagnosis was made by culture. The Karius test was able to identify the pathogen that was ultimately diagnosed by culture in nine out of 11 cases. In 10 of the cases, the scientists also had blood samples from the three days prior to culture diagnosis and the Karius test was able to identify the pathogen in eight of those samples. The team also analyzed samples from 16 patients without infections and while the Karius test did identify bacteria and fungi in three of those cases, none of those organisms were associated with bloodstream infections. Kathryn Goggin, MD, a clinical investigator and senior study author, said, “That in a number of cases Karius identified other microbes aside from the causative pathogen, and said that those findings had "unclear clinical significance.” Those cases, she noted, could be polymicrobial infections, contamination, or even a phenomena known as gut bacterial translocation, where indigenous intestinal bacteria invade other tissues and organs and can lead to bloodstream infection. The condition is more common in immunocompromised individuals. The study was presented at the Infectious Diseases Society of America's annual IDWeek conference held October 3-7, 2018, in San Francisco, CA, USA.